Need a Coeur d'Alene Realtor? When you're buying or selling real estate in Coeur d'Alene ID, give us a call. We will deliver results and exceed your expectations. Buying in Coeur d'Alene ID? Discover the difference with the Adair Real Estate Team. We help Coeur d'Alene ID home buyers find the best homes for the lowest price. Our home buying process guide and real estate blog contain great advice for buying real estate in Coeur d'Alene ID. Plan on selling real estate in Coeur d'Alene ID? We have an extensive marketing plan to get you the most money for your property. We drive massive exposure and utilize the best techniques in the business. 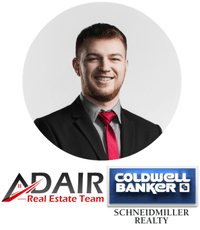 If you are planning to sell real estate in Coeur d'Alene ID, give us a call and discover the difference of using the Adair Team. Overview of the Real Estate market in Coeur d'Alene ID. The report includes current homes for sale and homes under contract. You can also create your own custom market report.